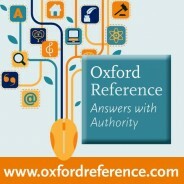 Bringing together two million digitized entries across Oxford’s Dictionaries, Companions and Encyclopedias, Oxford Reference is the premier online reference product, spanning 25 different subject areas. Headline image credit: Berber monkeys. Public domain via Pixabay. Catherine Fehre works in Social Media at Oxford University Press.